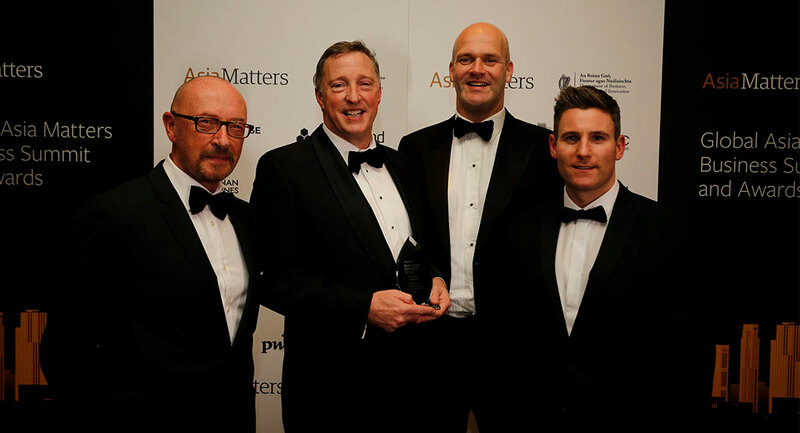 AgraKepak’s award win comes after more than a decade of significant export milestones and an announcement in May that the business has signed a five-year distribution contract valued at €35m with China-based, state-owned food company Esen Agro Group. – In 2005, AgraKepak became one of the first companies to begin collecting a full inventory of by-products from meat factories all over Ireland that export to Asian markets. – In 2016, AgraKepak opened its first commercial office in Shanghai, China. – In 2017, Agrakepak (Shanghai）Limited became an officially registered meat importer in China and acquired its own import licenses as well as a food distribution license. This resulted in the local Chinese team expanding to a total of five people. – In 2017, Agrakepak launched the first version of our bespoke trading and CRM system ‘AgraXchange’ to service customers and suppliers. – Over the past year, two of AgraKepak’s parent company sites – Kepak Clonee and McCarren Meats (Kepak Cavan) – were approved for exports to China. – In May 2018, AgraKepak signed a five-year distribution contract valued at €35m with China-based, state-owned food company Esen Agro Group.